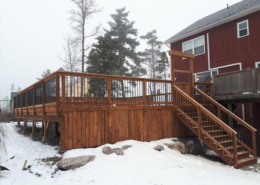 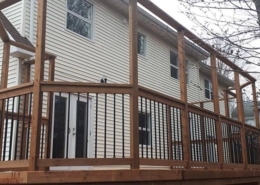 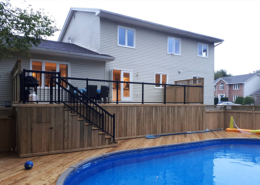 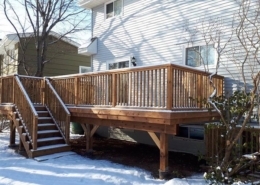 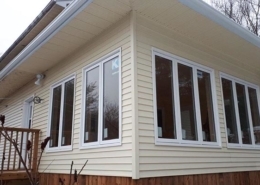 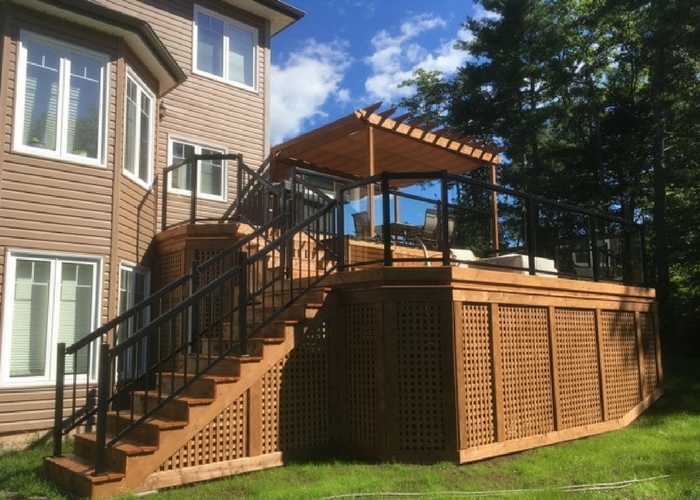 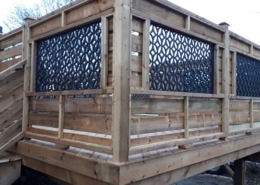 This 2-Tier deck was designed to allow our clients to enjoy the sun or the shade. 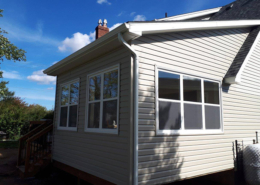 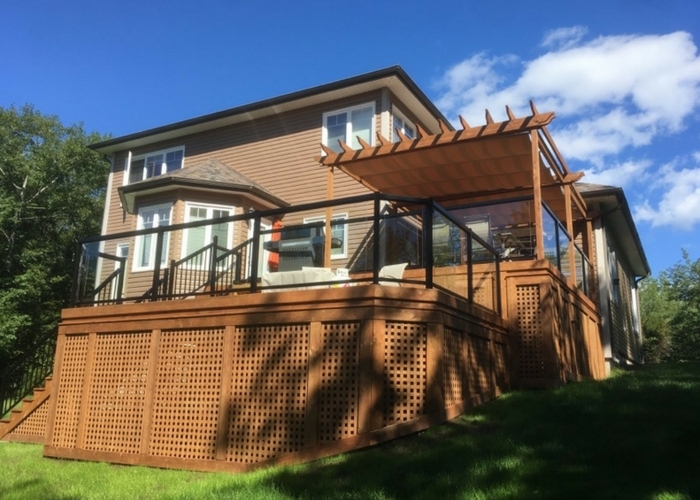 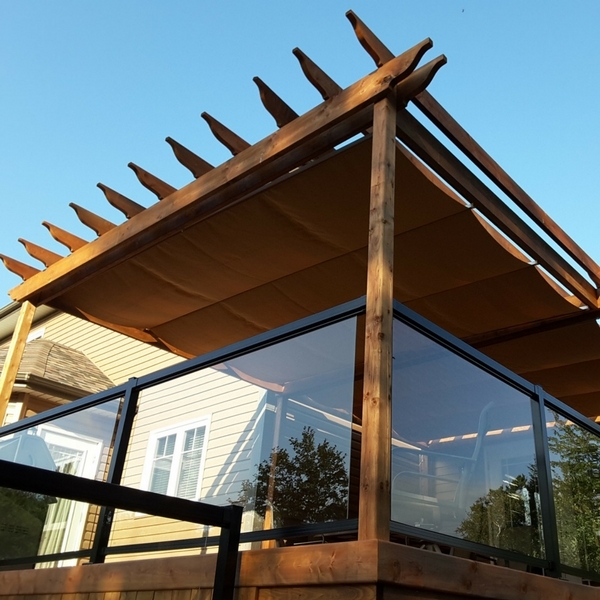 Built with Terra Brown wood, this deck comes with a pergola, shaded with a a custom canopy and Regal Railing tempered glass system. 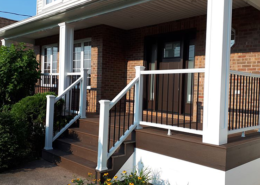 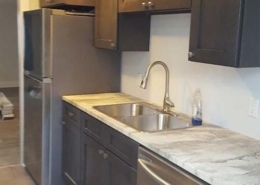 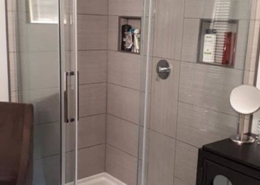 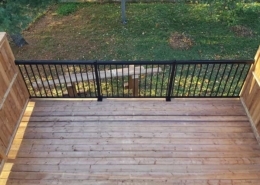 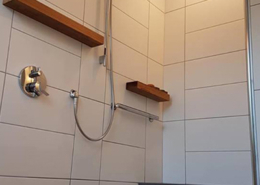 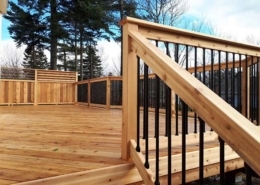 This type of railing system allows for the sun to shine in and for the view to be maintained.